October is here and so is Breast Cancer Awareness month! There’s already a ton of popular brands who donate a portion of their sales to Breast Cancer Awareness funds. We rounded up ways to do what you do best, SHOP and GIVE BACK while doing it. During the month of October, UTees and Charles River have teamed up to donate a combined 20% of all sales to the Susan G. Komen Foundation for Breast Cancer Awareness for 5 products. Supporting the Susan G Komen Foundation is one of the many ways we DPCL, our company mission. 100% of net profits benefit Bright Pink and breast cancer education programs. This set includes two hydrating shades of Butterstick Lip Treatment. Limited-edition bottle of Clinique’s famous yellow lotion is available in a jumbo size for a great cause. Adorned with a 5-charm key ring including the Pink Ribbon. 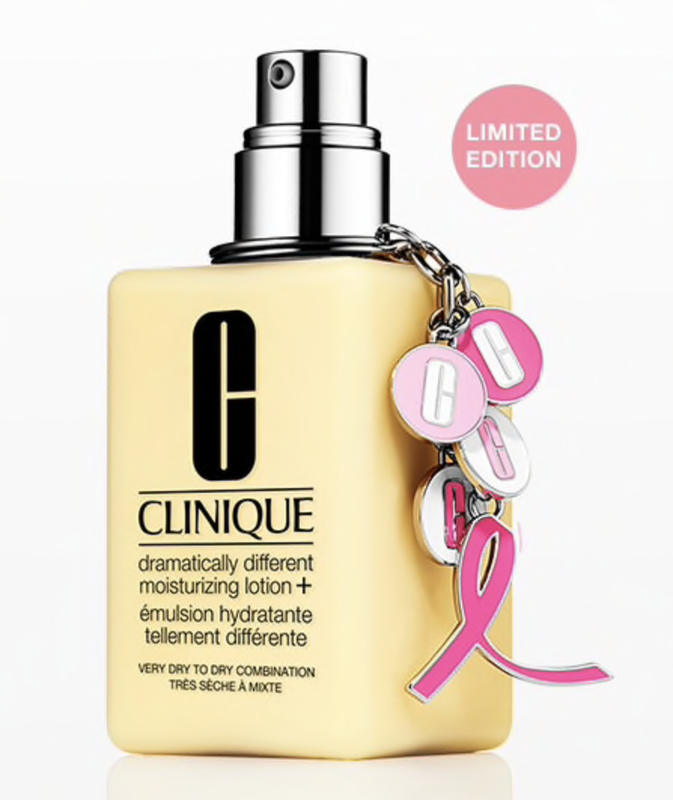 Purchase of the lotion includes a $10 donation to the Breast Cancer Research Foundation.